Are You Using The Right Blowdryer?! Have you been noticing that you just can’t style your hair the same as your Hairstylist does, even when you are using all of the same products and brushes? Turns out, it may be because you are using the wrong type of blow-dryer for your hair type. It seems that almost everyone is raving about all of the new ionic technology out there that will blow your hair dry in less than half the time — but is the Ionic technology right for everybody? The answer is NO! 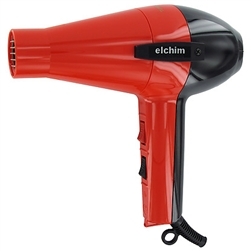 For thick/course hair that naturally has a ton of volume, the Ionic dryers would be perfect! However, for those of us with thin hair, the ionic technology might be over-drying us and causing our hair to be flat (no matter what brush you are using!). So, if you aren’t achieving the look you desire, trying switching it up to a dryer that isn’t ionic like the Elchim 2001 or ask your stylist what type of drying she uses to style your hair! ← Customer Review of the Day: Maijan Oil! !